PETALING JAYA (Dec 28): While the property market has remained soft in 2017, Valuation and Property Services Department (JPPH) director-general Nordin Daharom believes the market is still holding up as transactions are still taking place. “The overall market activity is recording a lower rate of decline compared to the past two years. 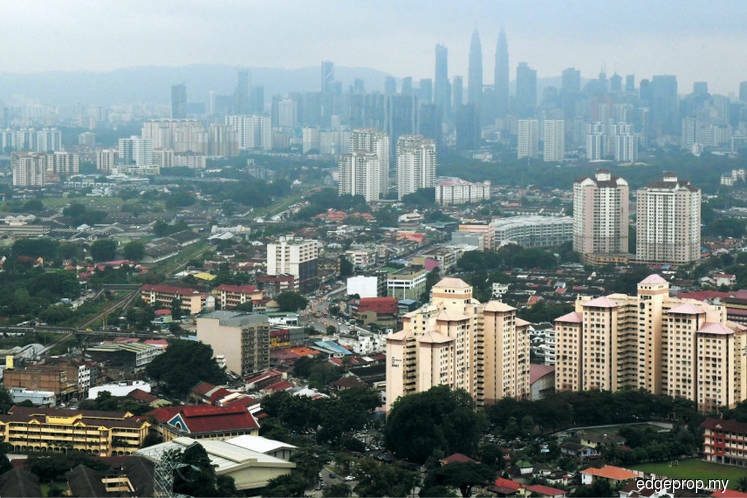 In my opinion, the property market is still holding up and transactions are still taking place, indicating that there is still demand for properties, provided the right kind of products at the right price and location are available in the market,” said Nordin. According to data from JPPH’s National Property Information Centre, the total real estate transaction volume was 229,529 in the first nine months of 2017, down 4.33% from 239,919 recorded in the corresponding period in 2016, which in turn was down 5.72% from the previous year. In 2015, the total volume of transactions was down by 11.5% from the corresponding period in 2014. “The property market is gradually adjusting to the changing economic environment, financial landscape and buyers’ sentiment. In a way, we are probably seeing the property market reaching a new normal,” Nordin told EdgeProp.my. Looking ahead, he believes properties in the Klang Valley will still be in demand, supported by economic growth and incentives for the housing sector. Nordin will share this and more about the property market outlook at the upcoming 11th Malaysian Property Summit organised by The Association of Valuers, Property Managers, Estate Agents and Property Consultants in the Private Sector Malaysia (PEPS). The summit will be held on Jan 23, 2018 at the Sime Darby Convention Centre in Kuala Lumpur. EdgeProp.my is the media partner. The upcoming summit will also feature PEPS president and CBRE|WTW managing director Foo Gee Jen who will be focusing on the residential property segment’s performance and outlook in his session. Like Nordin, Foo also believes that improvements in the overall economy and positive housing policy changes would contribute to better property market conditions. However, the residential property sector is expected to be “wobbly” through the year as the market is beset with fundamental demand-supply mismatches in terms of pricing and locations, said Foo, citing CBRE|WTW data that showed that as of 2Q17, there was a residential overhang including serviced apartments and Small-office Home-office of 24,613 units. The overhang, he said, was contributed by a mismatch of supply of certain property segments in terms of pricing and location. “The residential housing market will recover when sales improve and the balance of unsold stock is cleared, but this has not happened yet. On top of that, some fundamental structural changes are needed. Until these changes are realised, we do not expect meaningful recovery any time soon,” said Foo. Meanwhile, PPC International Penang Sdn Bhd executive director Mark Saw, who will be sharing insights into the property market in the country’s northern region, said the commercial property sector in the northern region will continue to be very challenging in 2018 while the residential sector is expected to remain active. “As expected, 2017 has been a challenging year and transactions have again dipped, but certain sectors have remained active, such as the affordable housing sector and selected high-end developments. Hence, I foresee the property market to continue being sector-specific in 2018,” he said. Other experts slated to speak at the summit include Knight Frank Malaysia Sdn Bhd managing director Sarkunan Subramaniam, Savills (M) Sdn Bhd deputy executive chairman Allan Soo, Rahim & Co International Sdn Bhd research director Sulaiman Akhmady Mohd Saheh, KGV International Property Consultants Sdn Bhd executive director Samuel Tan, TRX City Sdn Bhd CEO Datuk Azmar Talib, and MCA Belt and Road Centre deputy executive chairman Datuk Joseph Lim. For more details on the summit, go to www.peps.org.my. This story first appeared in EdgeProp.my pullout on Dec 29, 2017. Download EdgeProp.my pullout here for free.